It was 1960 and meteorologist Edward Lorenz was working in his lab. He was entering data into his computer in the hope of modeling weather patterns when he stumbled upon a theory that is known as “The Butterfly Effect.” He was entering wind speed, air pressure and temperature into three separate equations that were linked in a mathematical feedback loop. This equation allowed Lorenz to predict weather patterns. One day Lorenz was in a bit of a hurry and opted to take a shortcut when entering the data. He rounded the numbers to the nearest one thousandth rather than to the nearest one millionth (for example, .407 instead of .407349). As a scientist, he knew this would change the result, but he expected only a minor change. Lorenz was astounded to discover that this tiny change made a profound impact on the final resulting weather pattern. This discovery led Lorenz to ponder: Does the flap of a butterfly's wing in Brazil cause a tornado in Texas? Thus, you have “The Butterfly Effect” theory. This theory has been applied to all areas of science since Lorenz's 1960 experiment. What does it mean for your life? It means that every decision or action that you make, no matter how small, could potentially dramatically alter the course of your life. My life, as I am sure is the case with yours, is a testimony to “The Butterfly Effect.” When I was 12 years old, I met a friend named Brian in P.E. class. More than two decades later, Brian is still my best friend. At the age of 12, Brian had a thirst for learning and studying (the other 12-year-olds called him a nerd), and he was a fitness fanatic. He still has these qualities, and because of our friendship they rubbed off on me. At the age of 18, I needed a job and he secured me a job where he worked as a telemarketer. My third day on the job, I made a telemarketing call to someone in the seminar business. He thought I was a good telemarketer and offered me a job over the phone. - Realize that “The Butterfly Effect” is very real and small decisions or actions can make a huge impact on your life. - Take responsibility for your decisions, actions and friends—even the tiny decisions—realizing that they can dramatically alter the course of your life. - Understand the importance of attention to detail. Years before 1986, the smallest flaw was overlooked in a Space Shuttle O-Ring. That flaw led to a horrific “Butterfly Effect” and the deaths of seven astronauts years later in January 1986. - Do not allow “The Butterfly Effect” to paralyze you into inaction. Instead, use it as the spark of motivation to fan the fire of action, realizing that you control your destiny even in the tiniest of ways. The direct-selling industry is one of the fastest-growing markets in the world, and thanks to your efforts USANA is now recognized as one of the most internationally renowned companies. Your hard work and achievements have helped us reach unprecedented levels of success. To help keep the momentum going it is important to understand the logistics of the market so you can better connect with your prospects. For example, did you know that women make up more than 80 percent of the direct-selling industry? 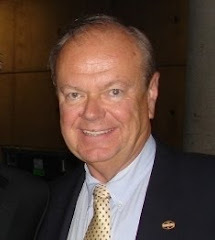 In fact, the majority of Associates at USANA are female. Be sure to incorporate this information and focus on women as you build your business. Empowerment—Women want the authority to act for themselves and the ability to influence others. USANA gives women the opportunity to operate their own businesses, allowing them to control their destiny and help those around them do the same. Details—Women love details, but leave the mundane information at the door. Only share the information that matters. USANA flyers provide the specifics they need to get going. Simplicity—Women are busy. They don’t have time for complex, complicated messages. Get to the point in a concise, professional manner with the Health & Freedom Presentation. Honesty—Women want to know the truth. Give it to them straight and candidly share your USANA story. Visuals—Women connect with images, so use more visuals and less text in your presentations. Share lifestyle shots and beauty images, and don’t forget to hand out samples. Fun—Women like to have a good time, so try not to be too serious. Share the USANA opportunity in an exciting, appealing way so they can see it is something they want to do long-term. Time—Women want the time and freedom they need to get everything done. Show them how a USANA business can free up their time so they can do the things they love. Financial Freedom—Women want to feel secure. Let them know how USANA can give them the financial freedom they deserve to break free from debt and live the life they’ve always wanted. Personal—Women like to be unique. USANA not only offers personalized nutritionals, but also allows them to custom-build their businesses to suit their individual schedules and personalities. Savings—Women love a good deal. Be sure to promote USANA’s latest specials, such as the Sensé™ Body Care Sample Pack sale going on now. Visit the shopping cart and stay up-to-date on all the product specials. The USANA opportunity allows women to more fully live their lives while balancing their professional and personal needs. Be sure to tailor this message as you prospect to the women around you and let them see the limitless possibilities of USANA! In the 2009 Healthcare Professionals Impact Study it was observed that 74% of dietitians use supplements on a regular basis, another 22% use them occasionally, and 97% of dietitians recommend dietary supplements to their clients. When looking at specific supplement usage we see that multivitamins are at the top with 84% of the dietitians surveyed having taken them in the last year. Other supplements commonly taken by dietitians include: calcium supplements (63%), omega-3 supplements (47%), vitamin D (43%), vitamin C (29%), probiotics (24%), B vitamins (23%), fiber supplements (22%), and green tea supplements (18%). The top reasons they took supplements themselves and recommended them to clients were to increase bone health, help fill nutritional gaps, and to improve overall health and wellness. The study also found that dietitians were much more likely to be healthier in other aspects of their life. They report showed a high occurrence of healthy eating, good stress management, regular exercise, maintaining a healthy weight, and getting adequate sleep. Other studies that have surveyed nurses and physicians also show a trend in increased supplement usage. This study helps to reaffirm the evidence that most healthcare professionals believe that they should be adding dietary supplements to their already healthy lifestyle. Dickinson A, Bonci L, Boyon N, Franco JC. Dietitians use and recommend dietary supplements: report of a survey. Nutrition journal. 2012;11(1):14. Missed the amazing Health and Happiness Summit at Radio City Music Hall in February? Don’t worry. 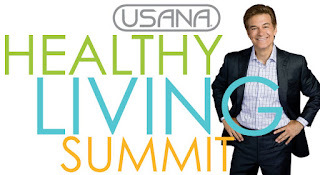 Dr. Mehmet Oz will be taking the stage on April 28 at the USANA Healthy Living Summit. He will be joined in Los Angeles, California, by his wife, Lisa Oz, and an all-star line-up of USANA favorites, including Dr. Myron Wentz and Dave Wentz, USANA’s founder and CEO. What’s going to happen onstage—with all the incredible speakers and informative presentations—is reason enough for you and your guests to attend, but the USANA Healthy Living Summit has some exciting things going on off-stage, too. There will also be an opportunity for Associates to have their pictures taken with Dr. Oz! Besides the initial excitement, these professional photographs will be great to put on your personal website, to share on social media, and to use in prospecting. A donation of $100 or more to the USANA True Health Foundation will be required for those who want a picture. You can donate online or at the event. If that wasn’t enough to have you making plans to head to sunny Los Angeles, there’s one more thing. Before the event starts, Associates will have the opportunity to participate in an exciting global announcement. Those in attendance will be part of a taping that will be seen around the world. Look for more details about the event on USANAtoday soon. OK, you’re probably ready to register, right? It’s $10 before the event, and $20 on-site. Guests are also $10, and encouraged—this is going to be a powerful event so bring friends, family, and prospects. The event will be in English only. You don’t want to miss out on another opportunity to see Dr. Oz live with Dr. Wentz, Dave, and other great USANA speakers. Space is limited for this amazing event, so go to the event registration page on USANAtoday and reserve your spot today! 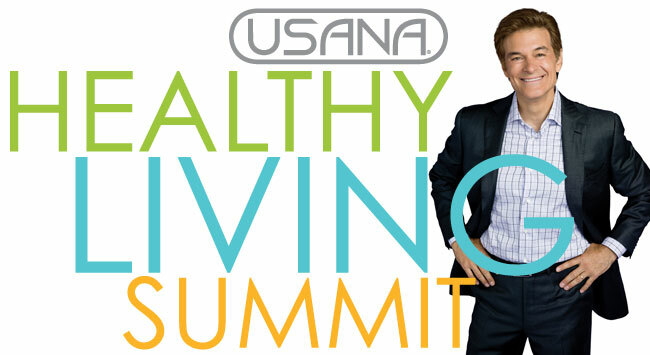 Download the USANA Healthy Living Summit prospecting flyer. 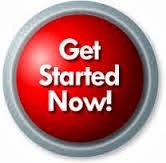 You are always looking for new ways to prospect and build your business. Why not make it personal? 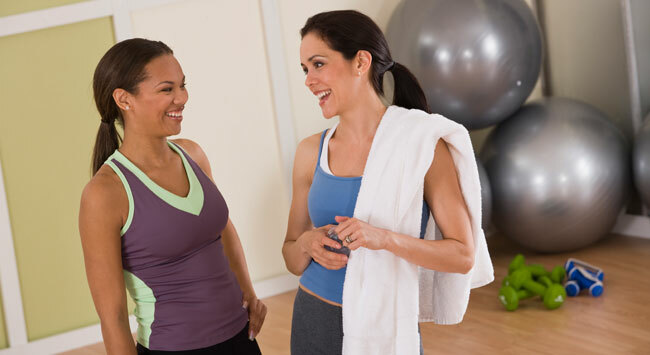 With MyHealthPak™, prospects can personalize their health and you can earn some extra points in the process. What’s not to love? 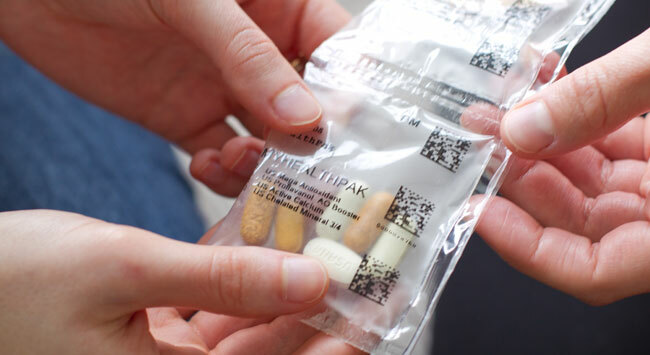 MyHealthPak is simple to assemble, convenient to take, and easier to manage than individual bottles of supplements. The handy, customized packets can be taken on the go, ensuring that even with their busy lifestyles, your prospects won’t miss a dose. Plus, MyHealthPak provides you with PV ratios that are about the same as or sometimes higher than supplements purchased separately. 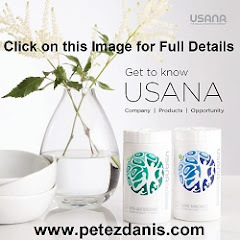 Of course, USANA offers many profiles for you to choose from for all different lifestyles, such as Working Adult, Men 40+, Women 40+, or the Beauty Edition. The MyHealthPak website also allows your prospects to easily create their own personalized packs. Once the order has been placed, USANA will put together the customized pack, complete with the prospect’s name on the label, in three to four days. Then, depending on the selected shipment option, the package will take anywhere from 3–17 days to deliver. This means that in just a few days, your prospect can have personalized nutritionals delivered right to their door. You can also send a professional eCard to promote MyHealthPak along with the Health Assessment and Advisor. To access the digital card, click on “eCards” under “The Income Maximizer™” drop-down menu. For more information or to build a MyHealthPak visit www.usanamhp.com.